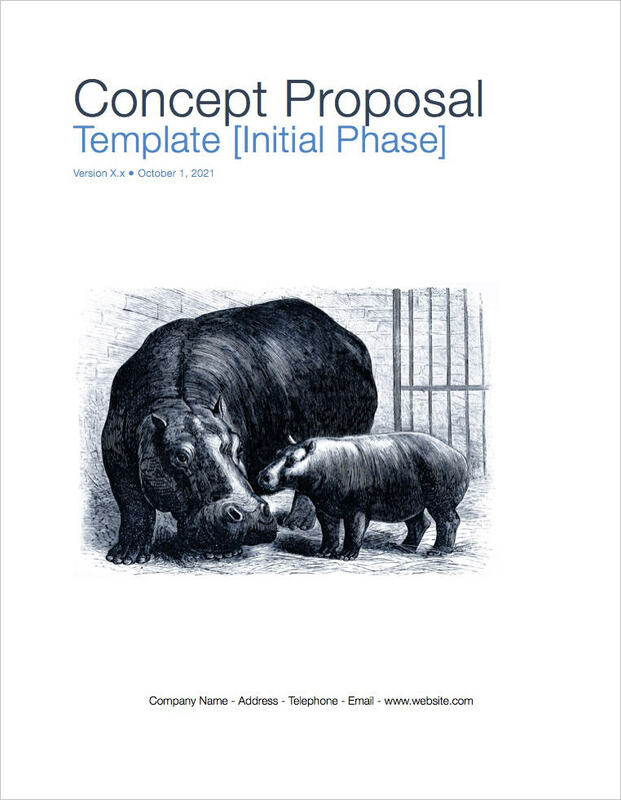 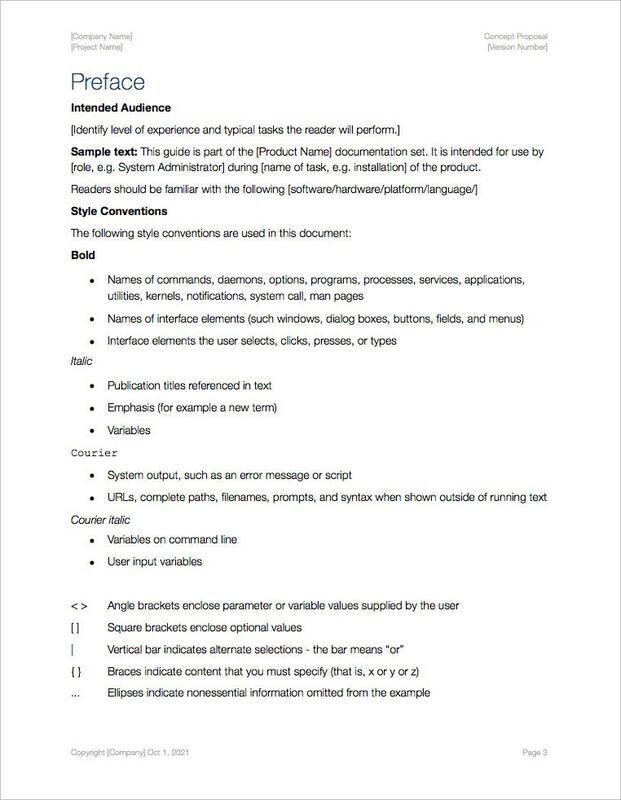 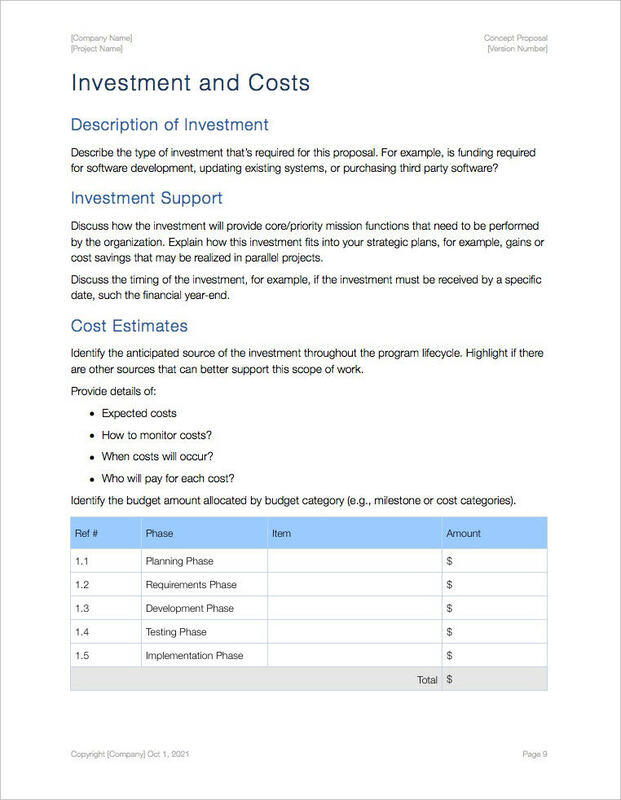 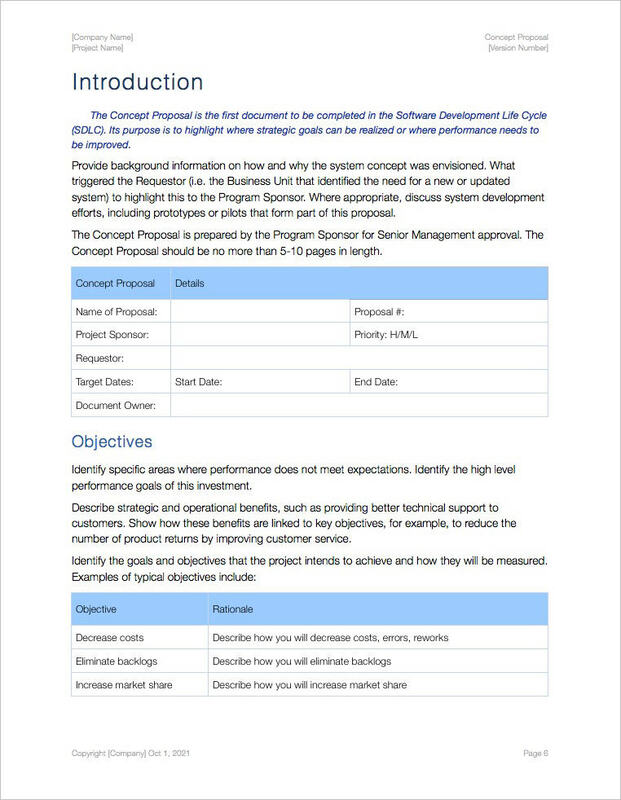 The Concept Proposal (iWork Pages 12 pages) is the first document to be created in the Software Development Life Cycle. 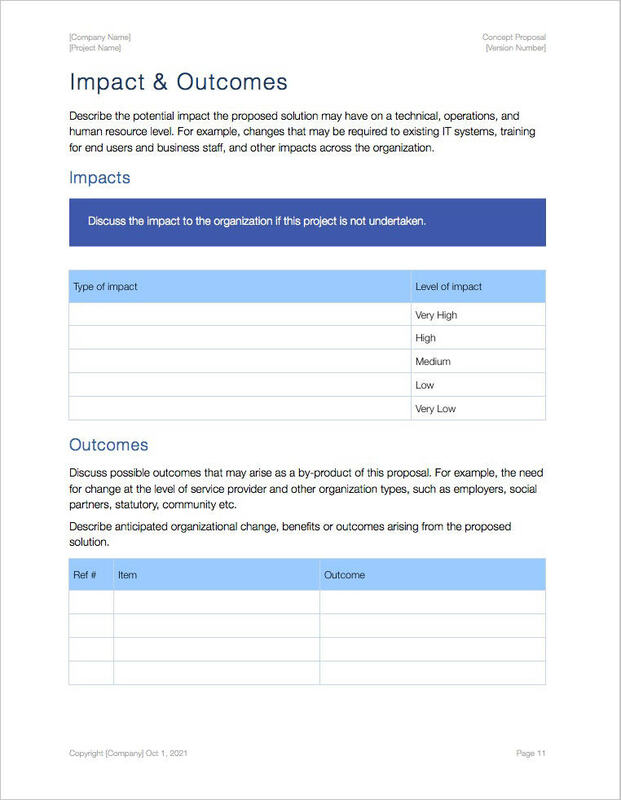 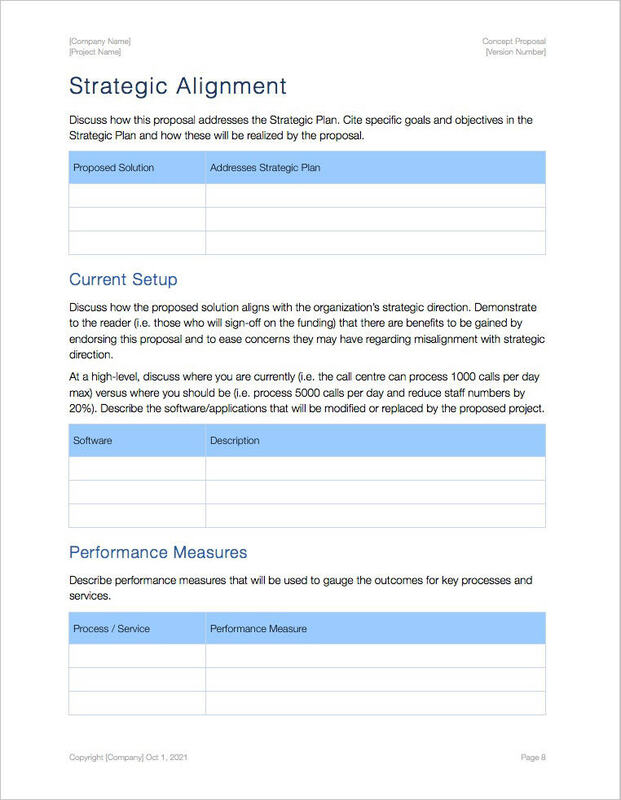 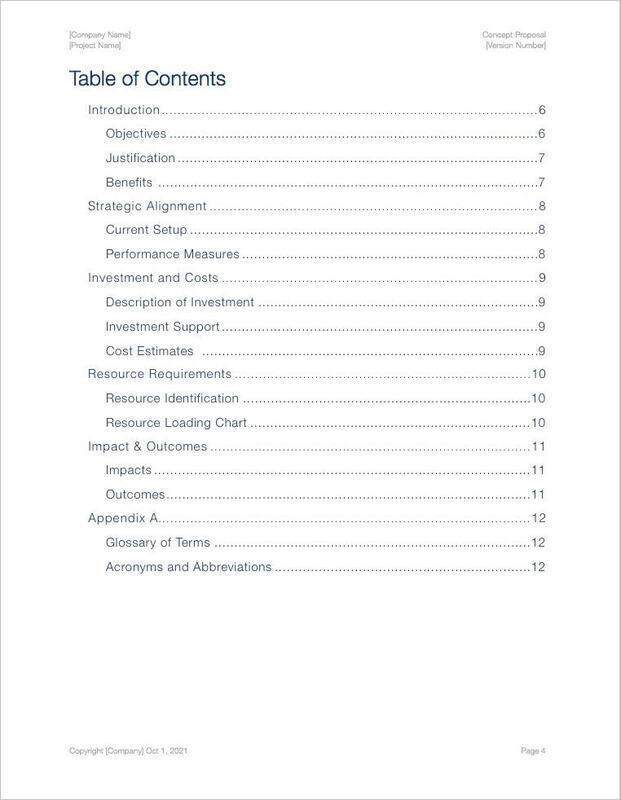 Use this template to identify the need or opportunity to improve a business function by highlighting where strategic goals are not being met or performance can be improved. 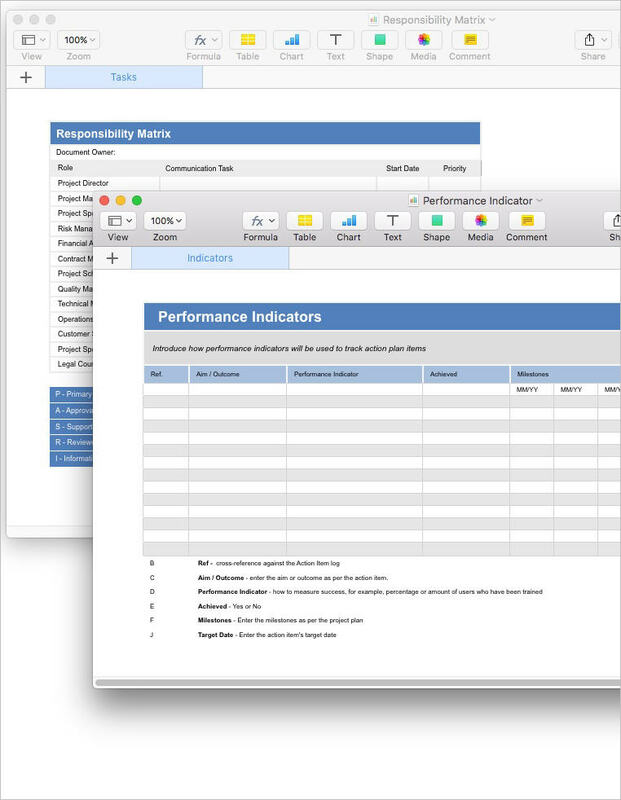 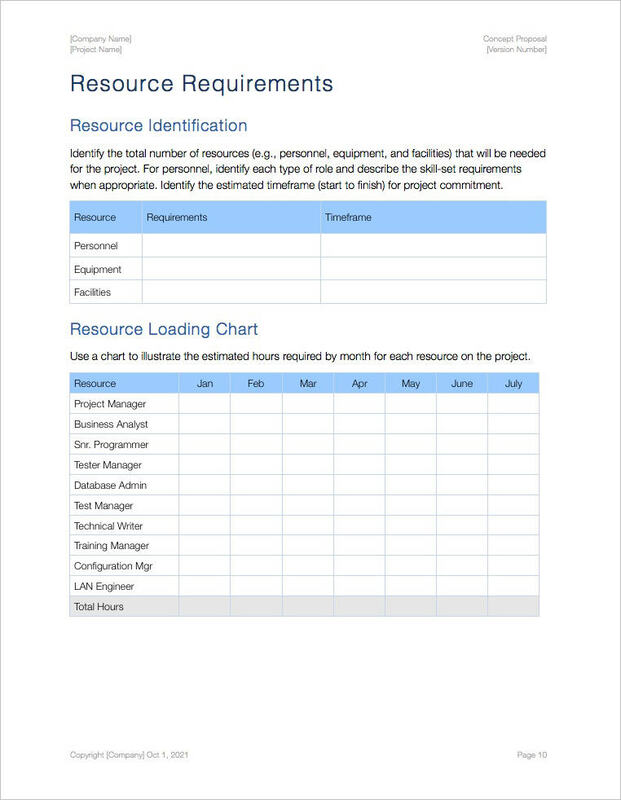 This template is designed and formatted for iWork Pages.